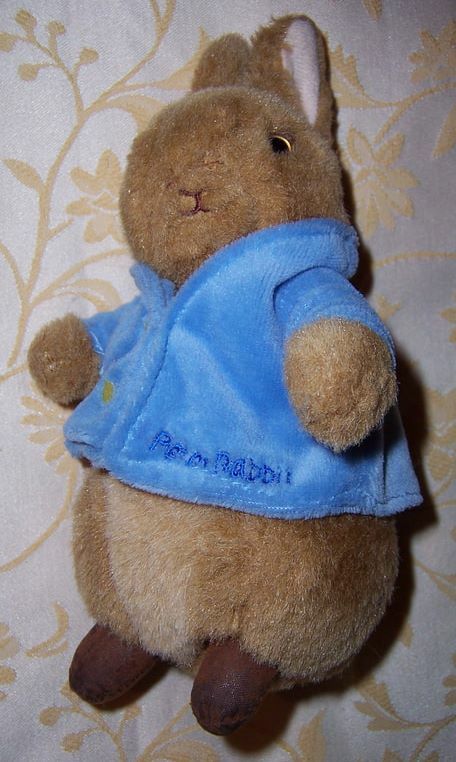 hPeter Rabbit Soft Toy - Frederick Warne - Eden Toys Inc. 1990 Made in Korea. Peter is a soft plush fur cuddle toy filled with polyester fibre. 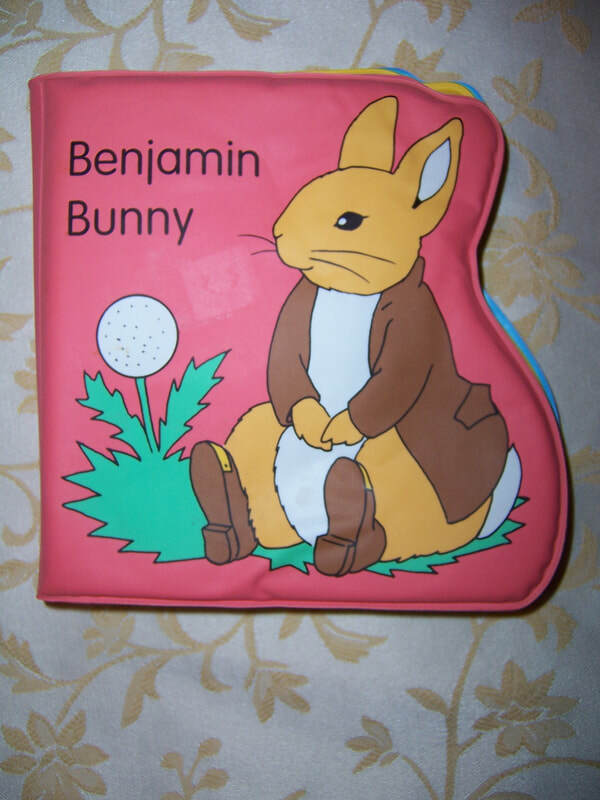 He is approx 28cm tall. 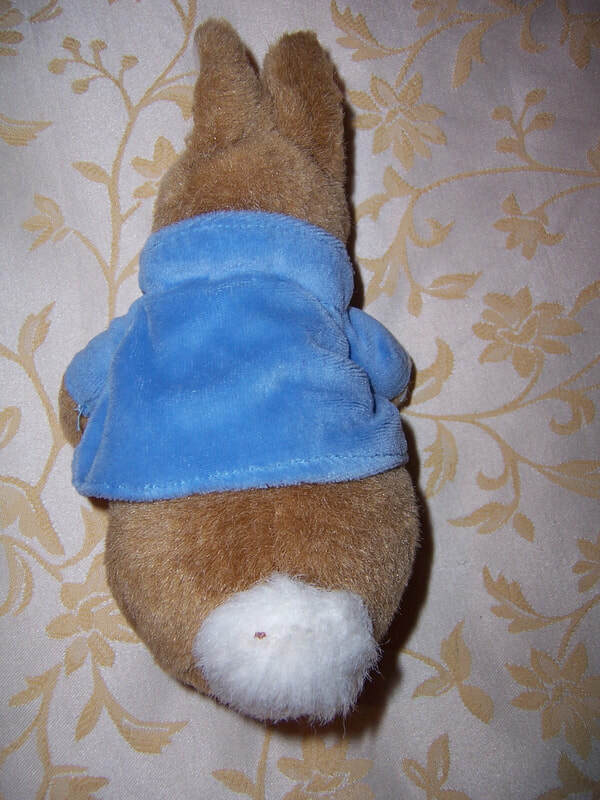 He is wearing his famous blue jacket which ties up around his neck, and has his name ''Peter'' embroidered on it. 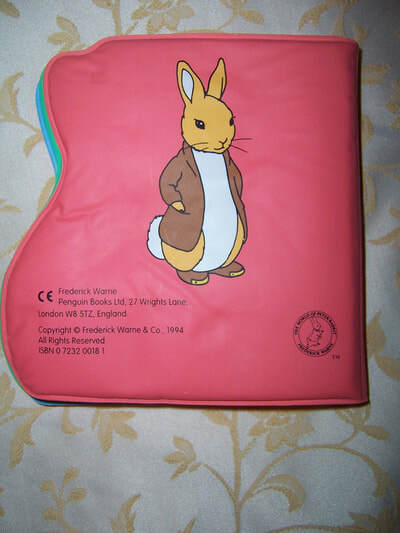 The jacket can be removed if desired. 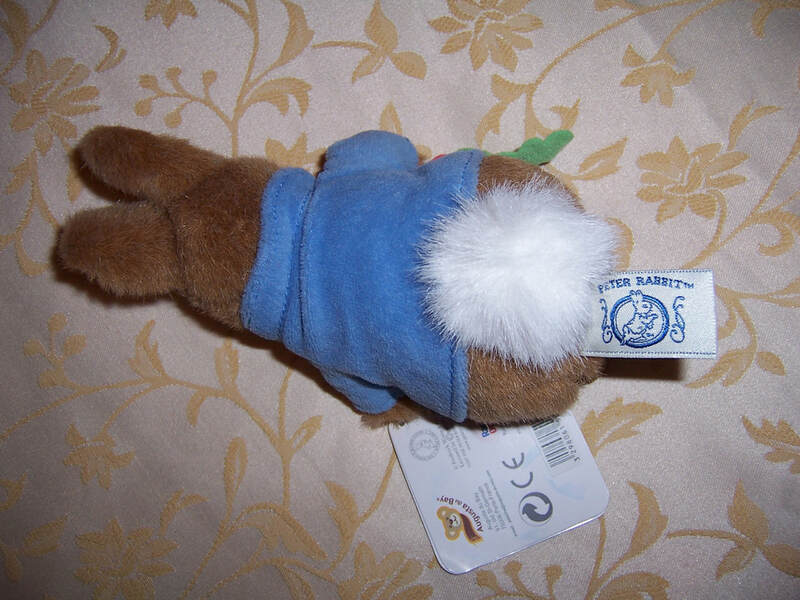 He also has his original paper hangtag attached to his arm (does show wear), and his original cloth tag to his bottom. 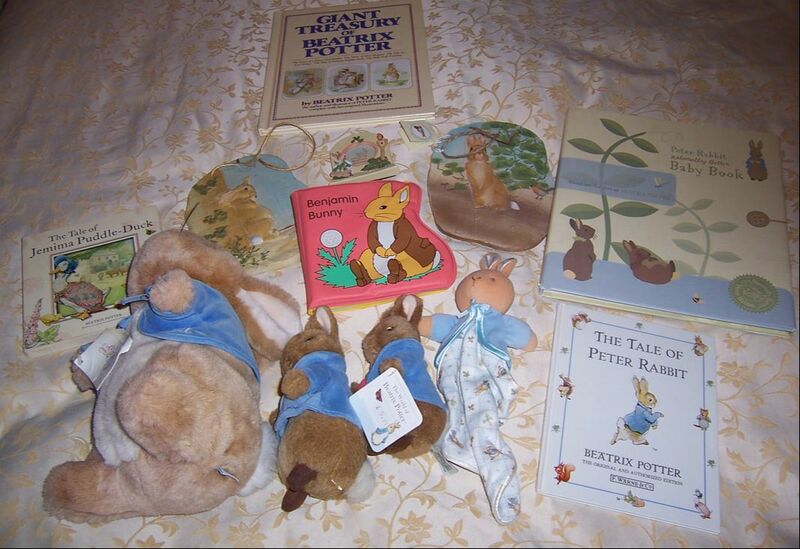 An extremely rare Peter Rabbit as they are all made in China now. This cute small Peter Rabbit is approx. 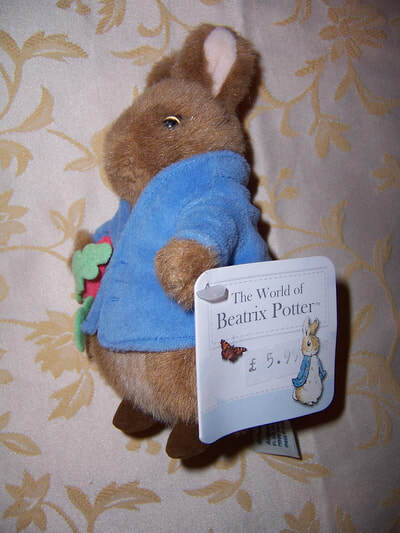 16cm tall to the tip of his ears. 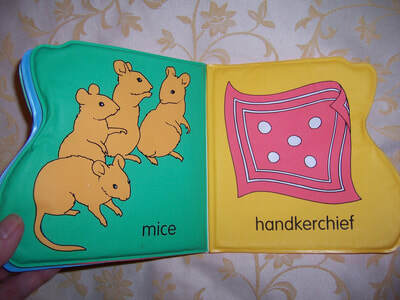 He has original paper hangtag which shows English pounds 5.99. 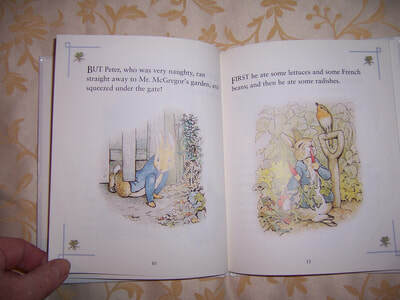 Peter is holding onto a felt type orange carrot with green leaves at the top. He is wearing his famous blue jacket which has embroidered gold buttons on the front. 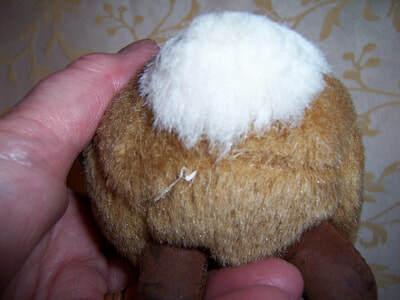 He has brown black button eyes, embroidered mouth, and two brown felt feet. His paper tag and original cloth tag states ''Augusta du Bay''2007 France Made in China. 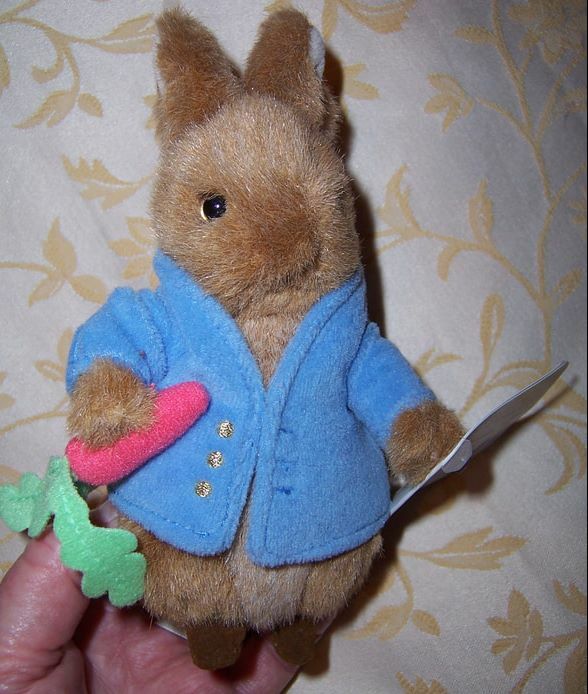 He is a very cute rare Peter Rabbit. 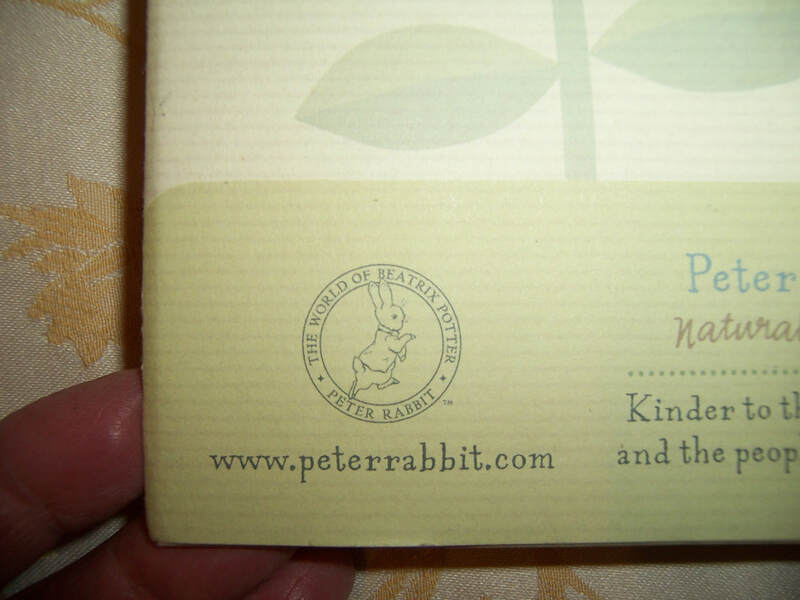 This cute small Peter Rabbit is approx. 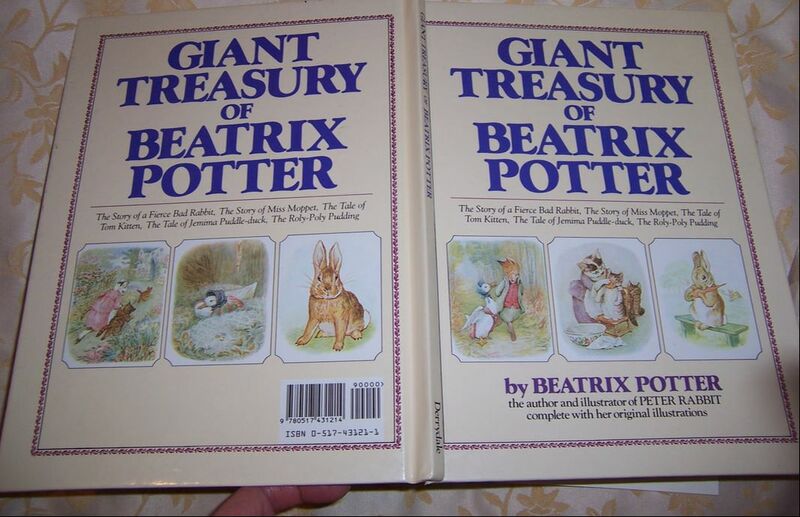 19cm tall to the tip of his ears. 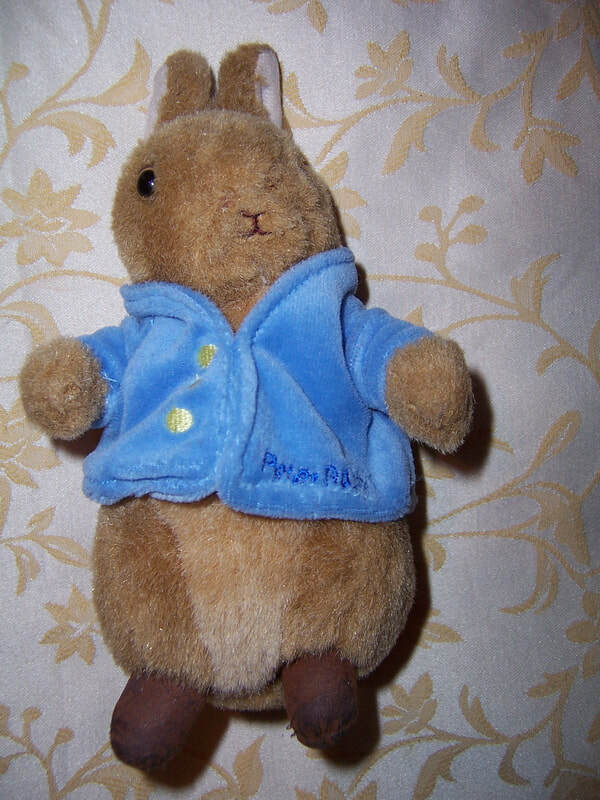 He is wearing his famous blue jacket which has embroidered gold buttons on the front, and his name ''Peter Rabbit'' on his jacket. 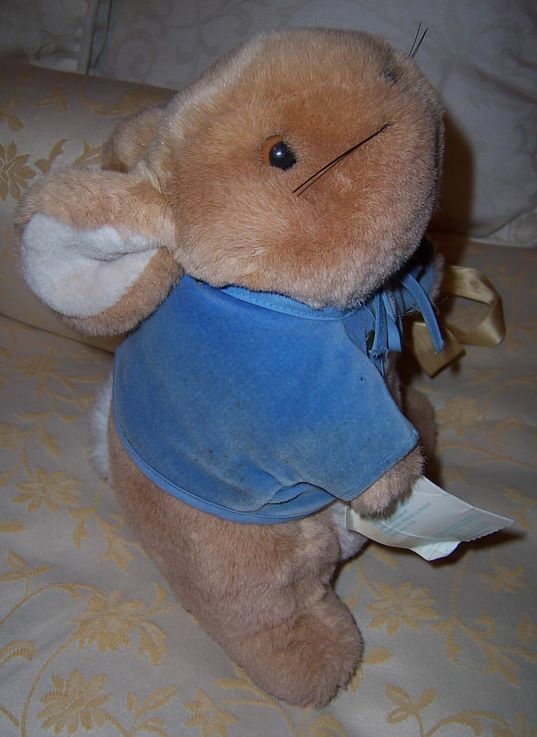 His cloth tag has been removed by his previous owner but he was made circa 2003. 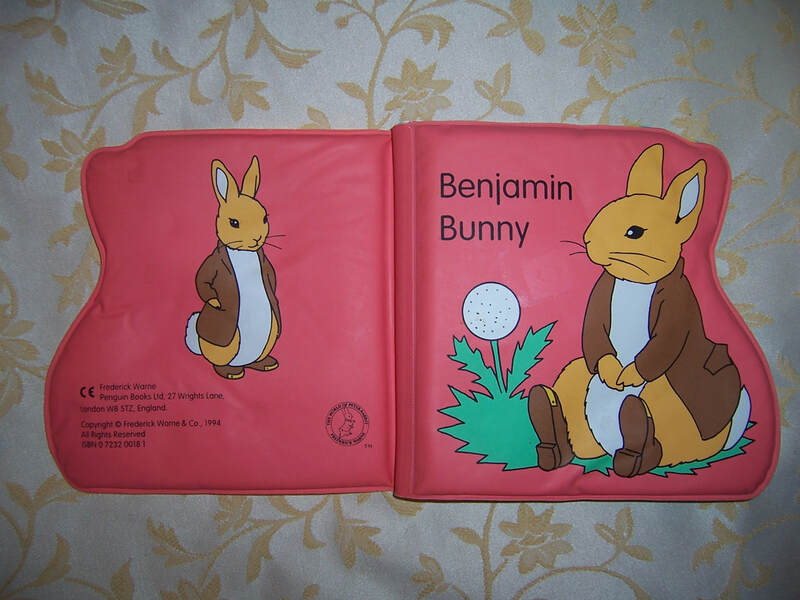 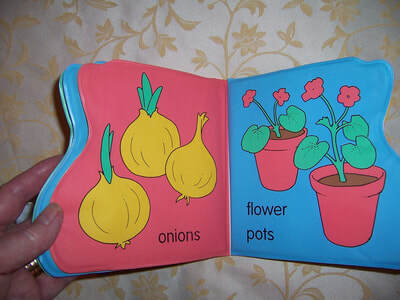 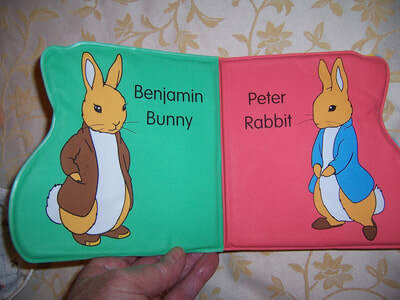 This book is made of all washable vinyl and foam filled for easy page turning for the very young child. 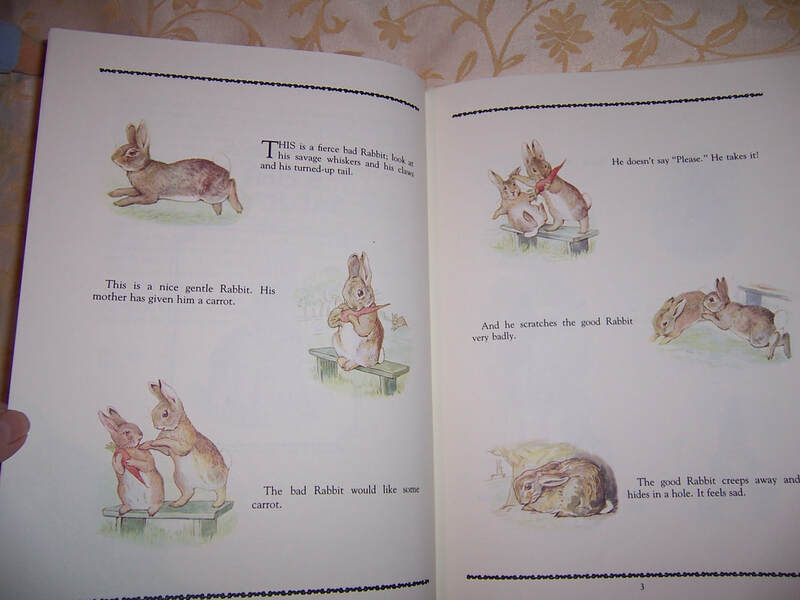 It has many colourful pictures in it, and is in wonderful condition. 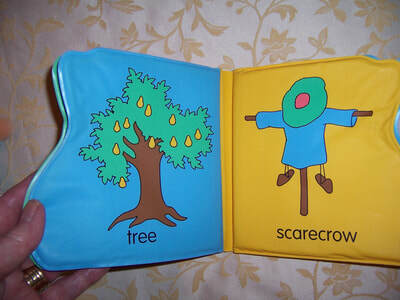 It is over 20 years old. 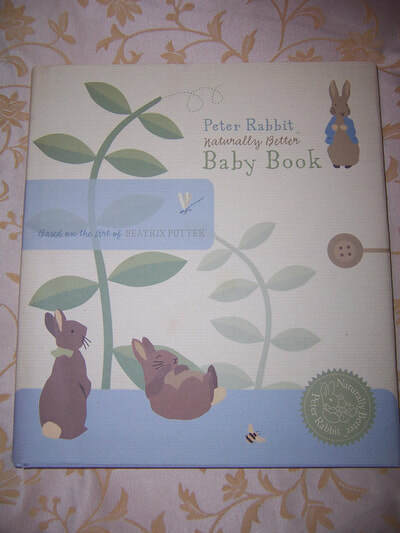 This is a lovely hard cardboard child first book. 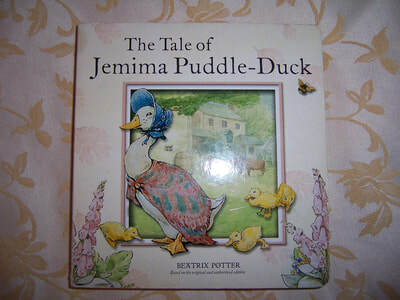 It is a very simple story about Jemima Puddle- Duck. It has colourful pictures in it. 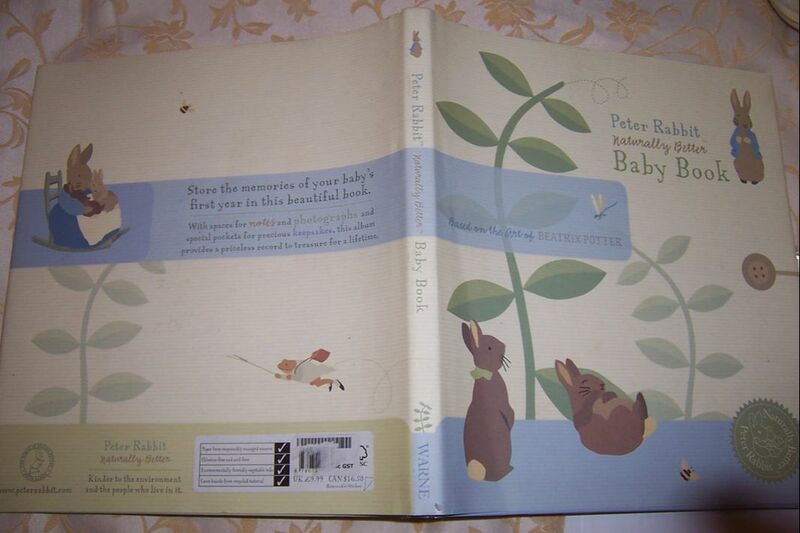 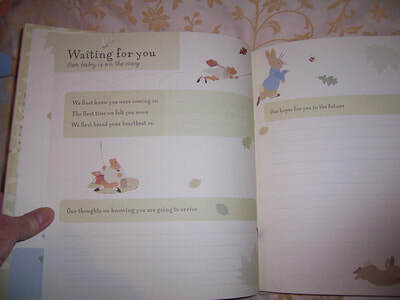 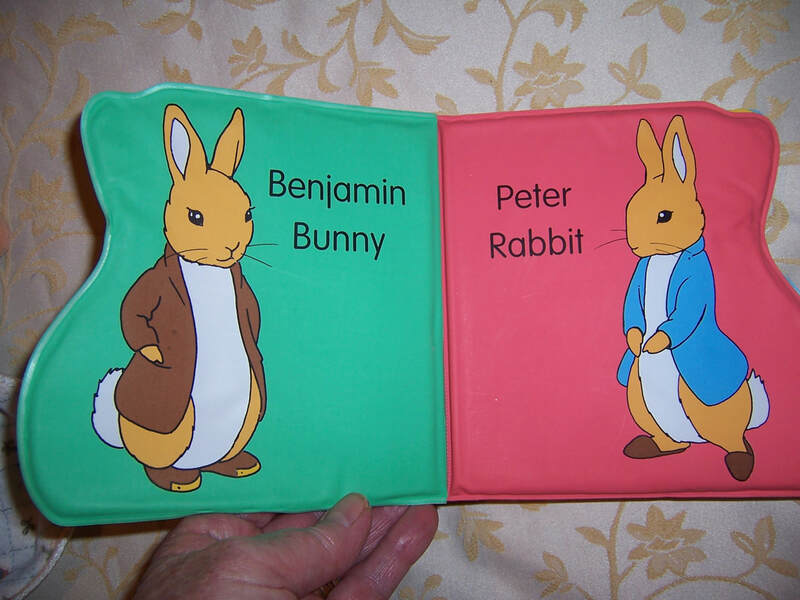 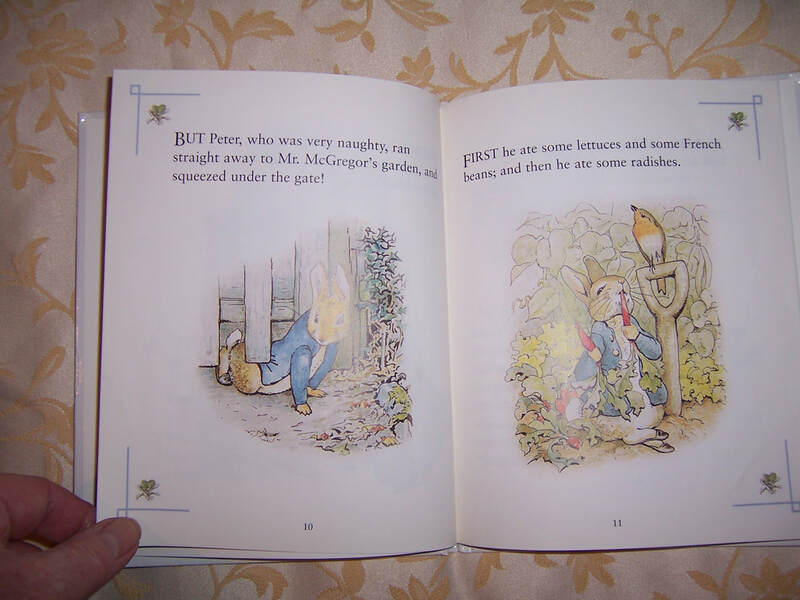 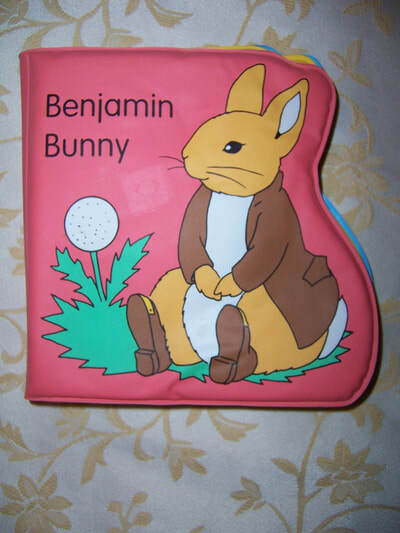 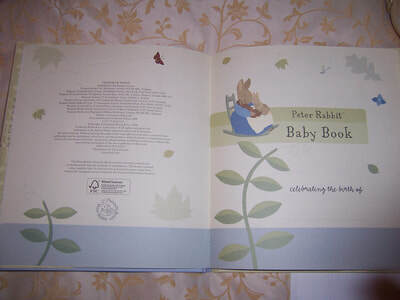 Story book for the young child about Peter Rabbit. 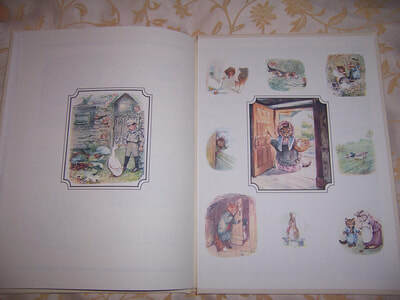 it has lots of delightful pictures which have been created by Beatrix Potter. 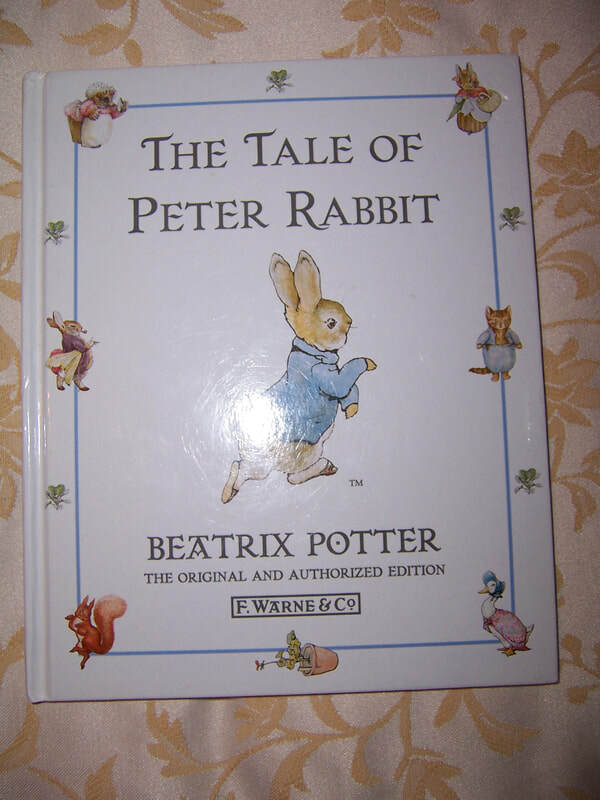 Tales of Beatrix Potter was a ballet developed by Britain's Royal Ballet specifically for a film project in 1971 which was later turned into a stage production in the early 1990's. 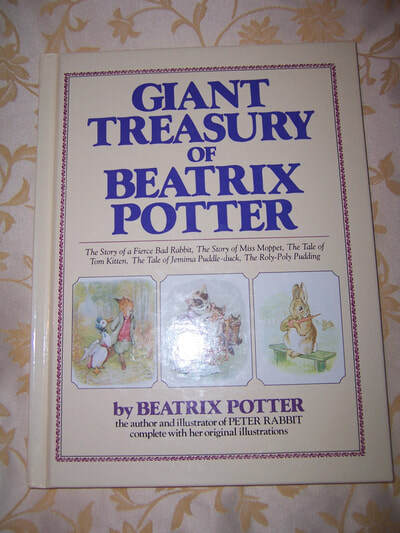 This record features most of the music written by John Lanchbery for the original film. 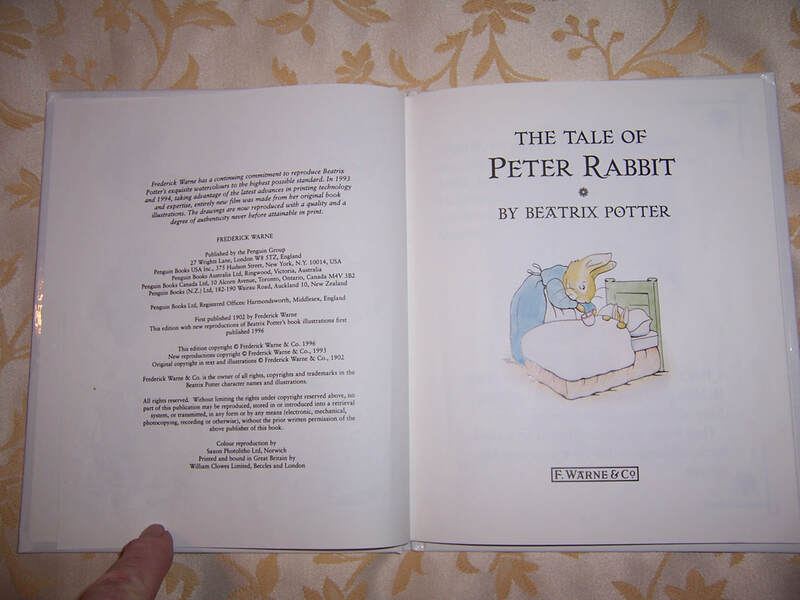 The front of the record cover is showing a little discolouration to the white colour - it is over 40 years old. 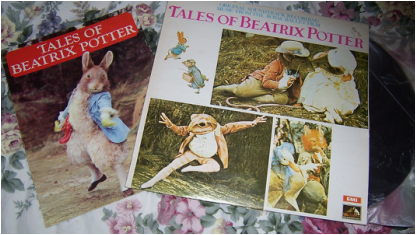 The record appears to have no scratches, and comes with its original plastic cover within the LP cover. 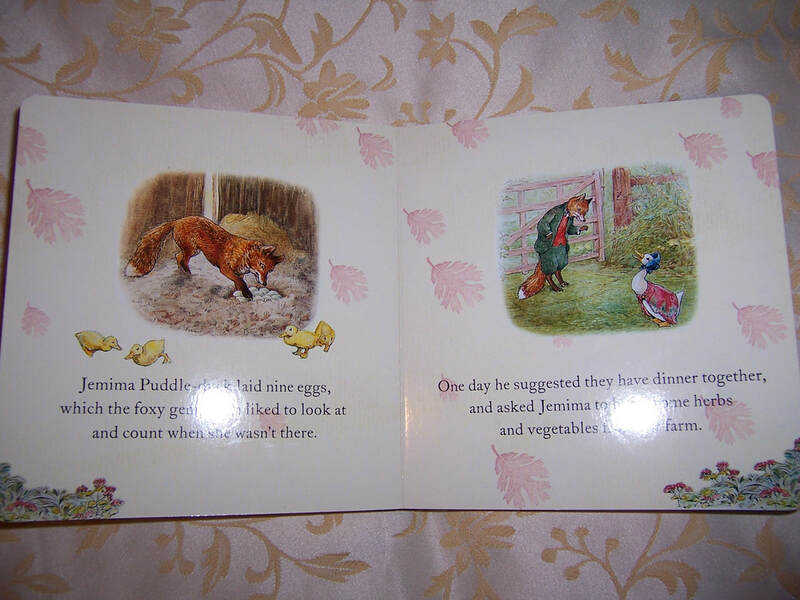 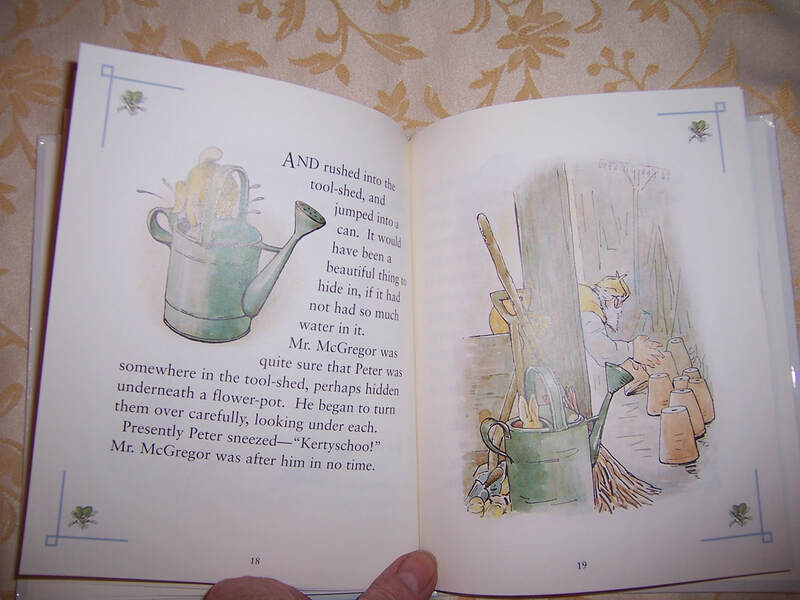 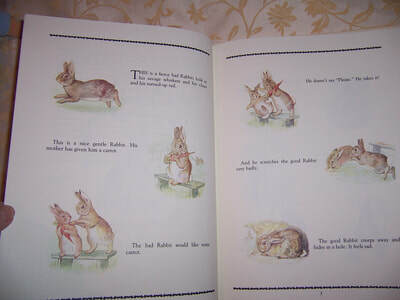 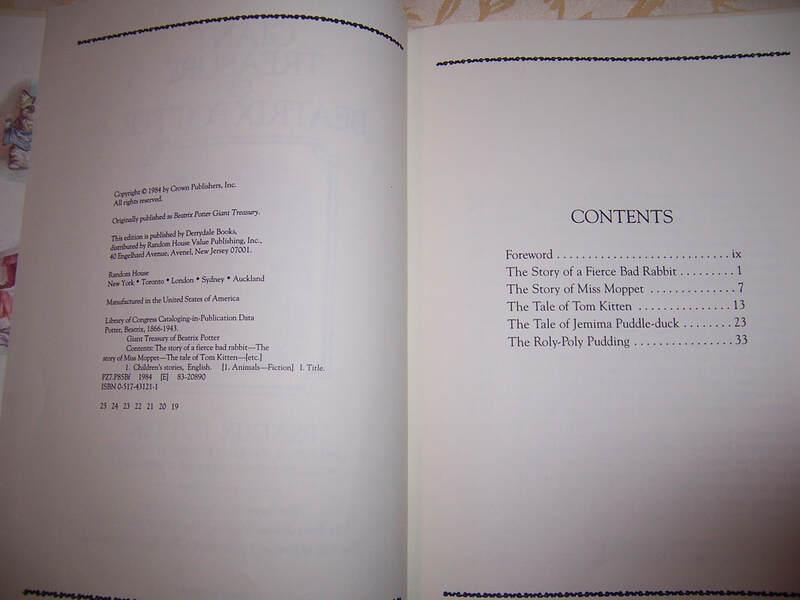 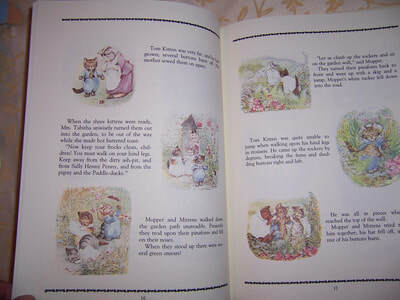 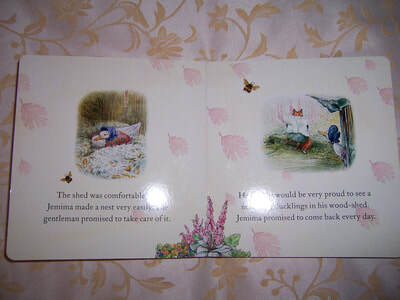 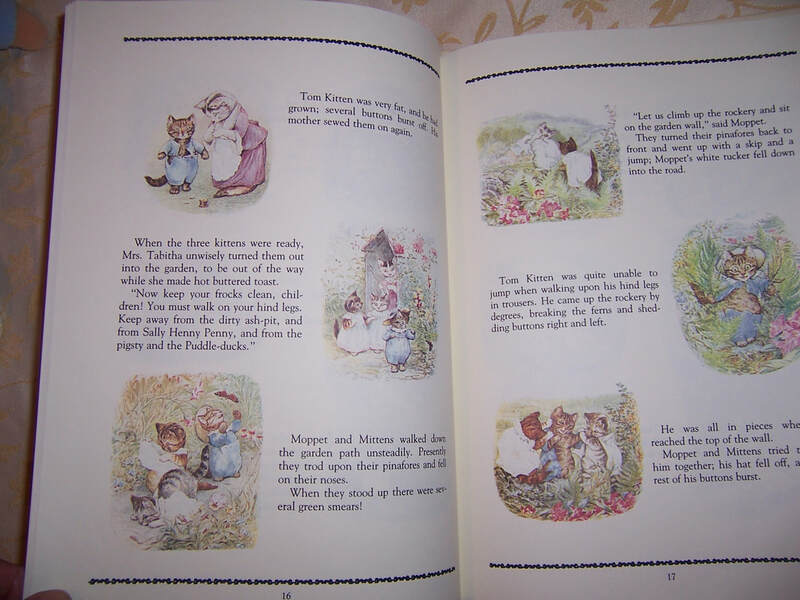 We also have a vintage book called "Tales of Beatrix Potter" with pictures from the Royal Ballet Film. 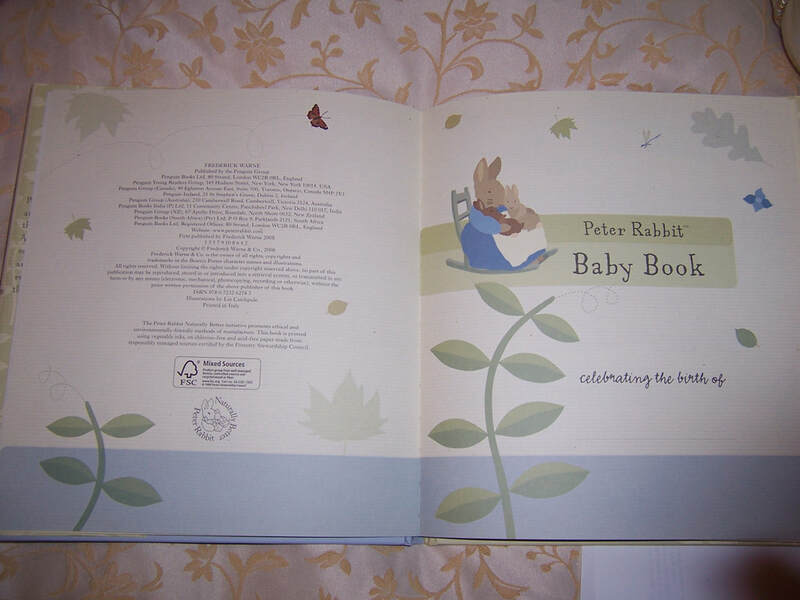 It is a soft cover book which compliments the LP record perfectly. 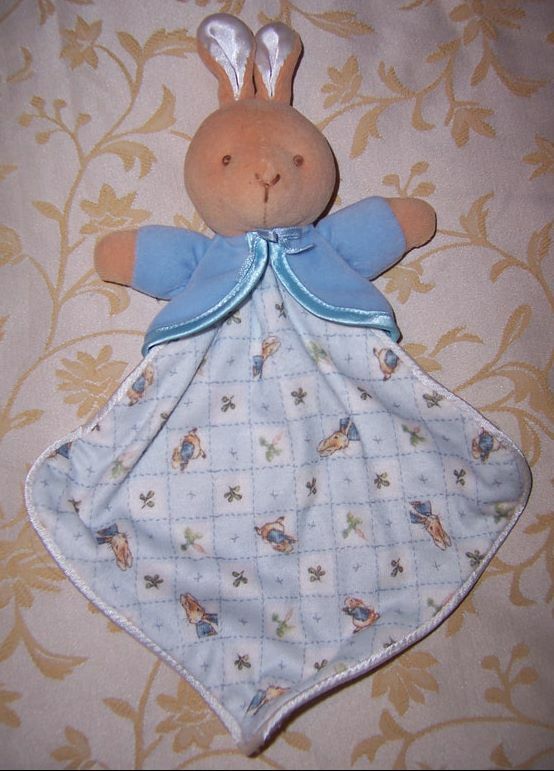 Cute cuddly rattle soft toy for the very young child. 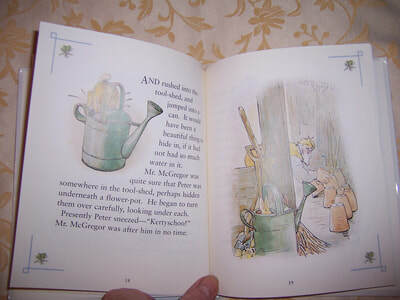 It has been washed and cleaned and looks in almost brand new condition. 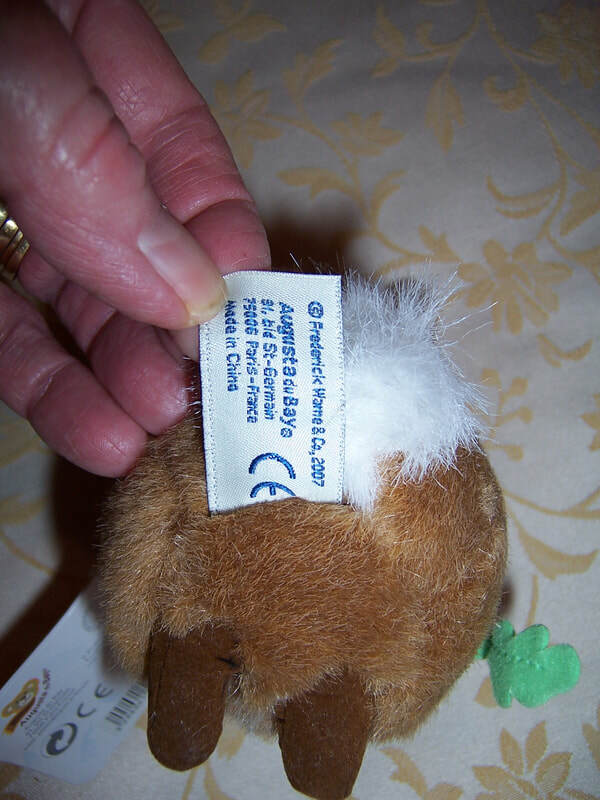 It has a cloth tag at the back of the head - Eden Toys. It is very soft and cuddly and the cloth has pictures of Peter Rabbit on it. The eyes and nose have been embroidered, blue jacked has satin binding, and ears have white satin fabric inside them. 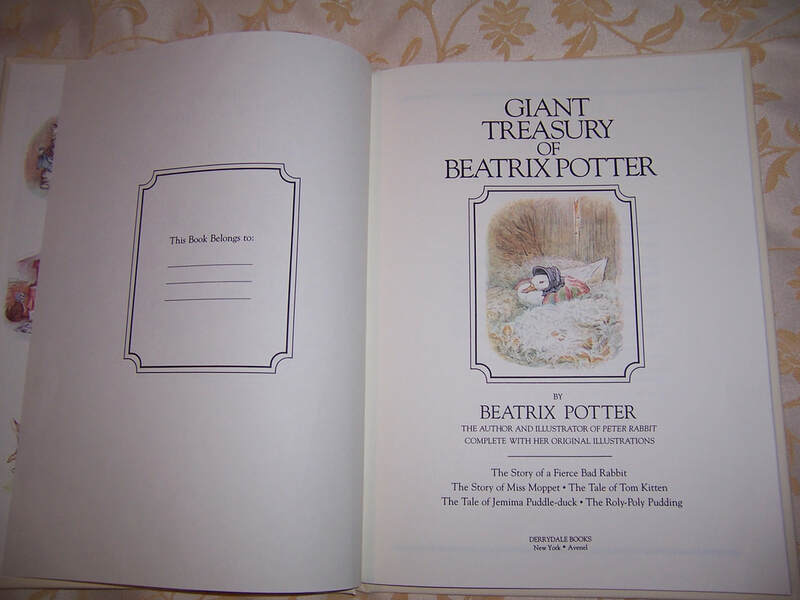 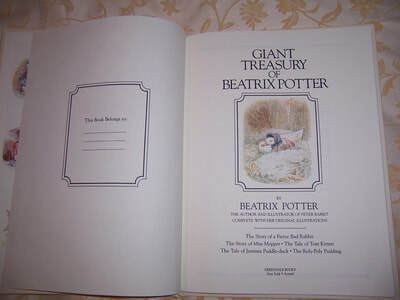 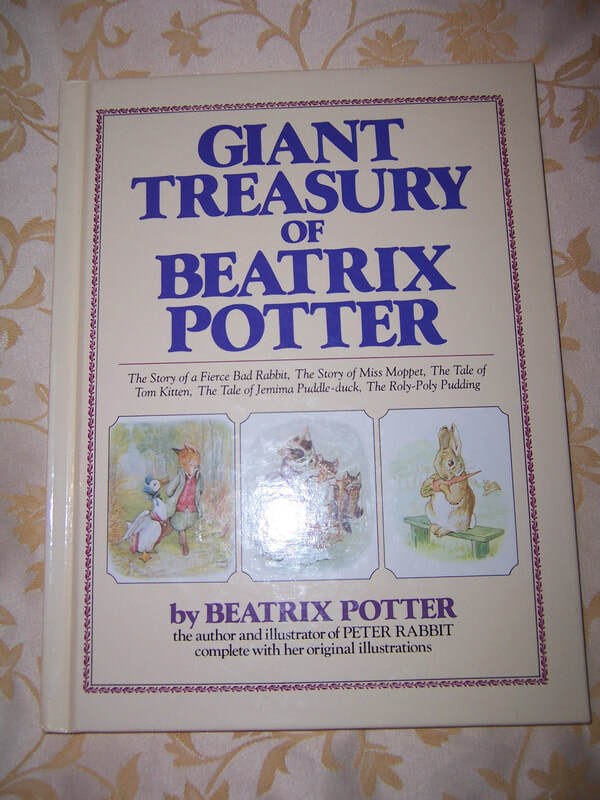 Large storybook about some of the famous Beatrix Potter stories complete with her original illustrations. 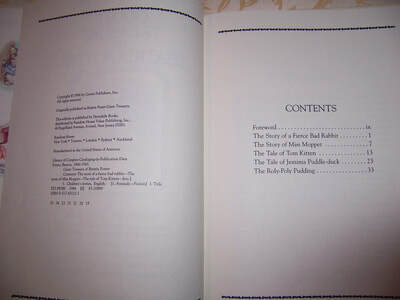 In almost brand new condition. 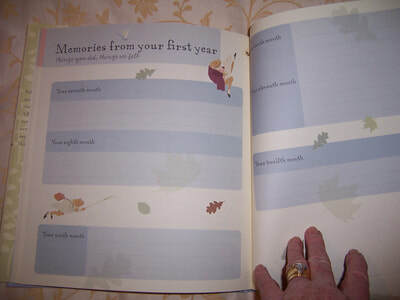 In this book parents can record every significant even in their child's first year of life. 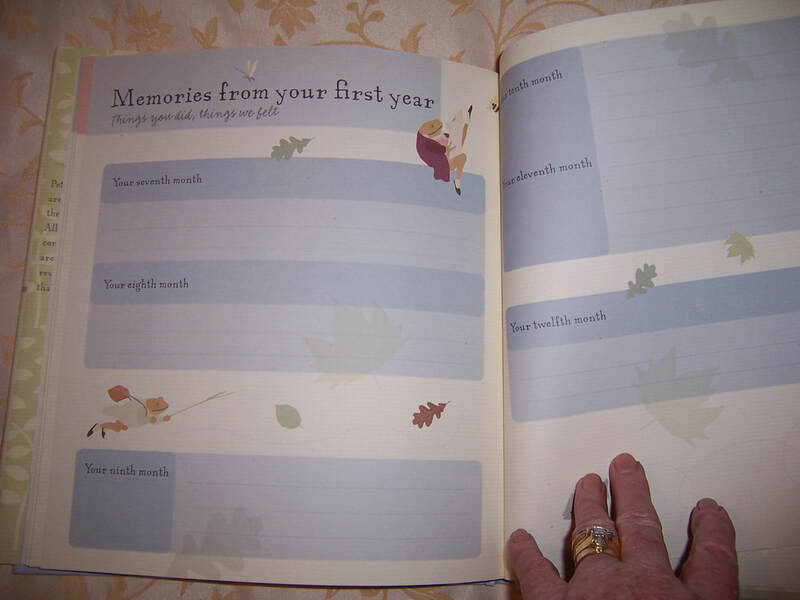 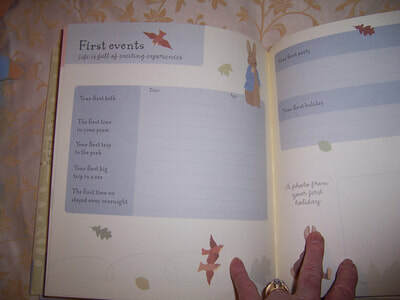 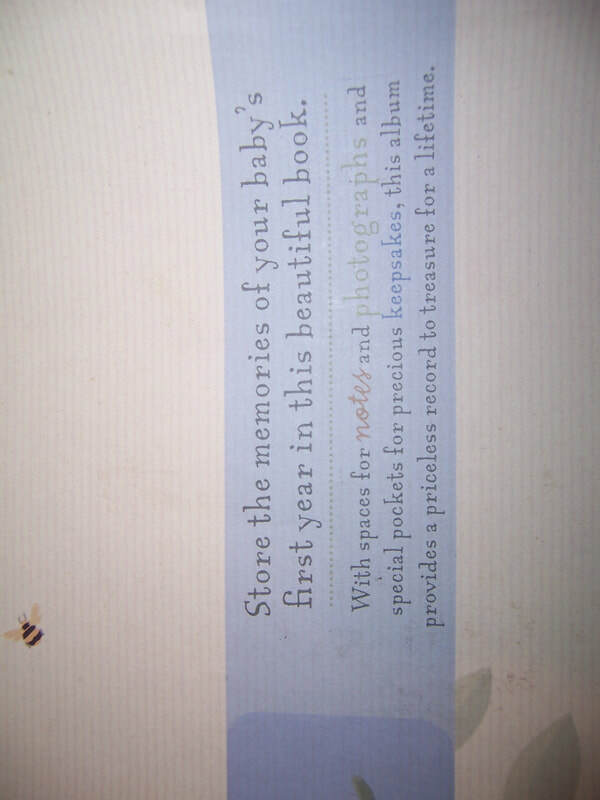 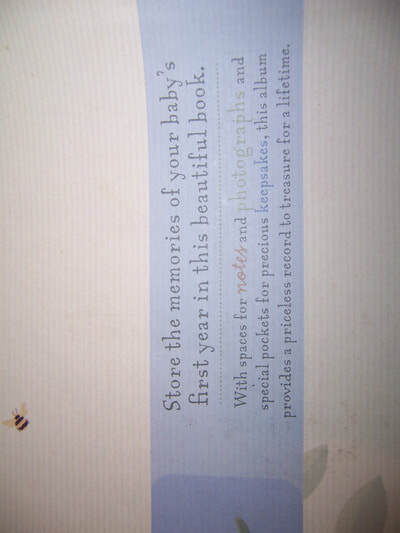 It has spaces for notes and photographs but does not have the special pockets for keepsakes. 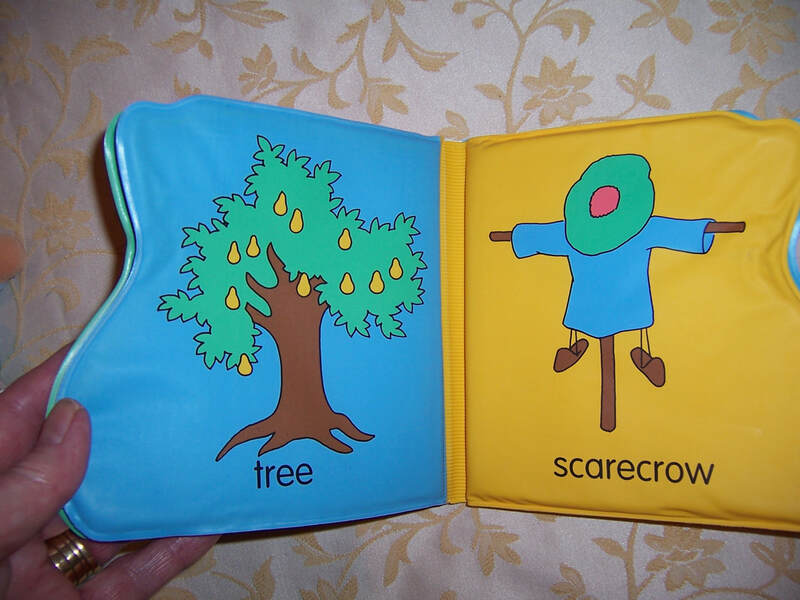 This book appears brand new and has never been used.